The thing is to have a life before we die. It can be a real adventure having a life. 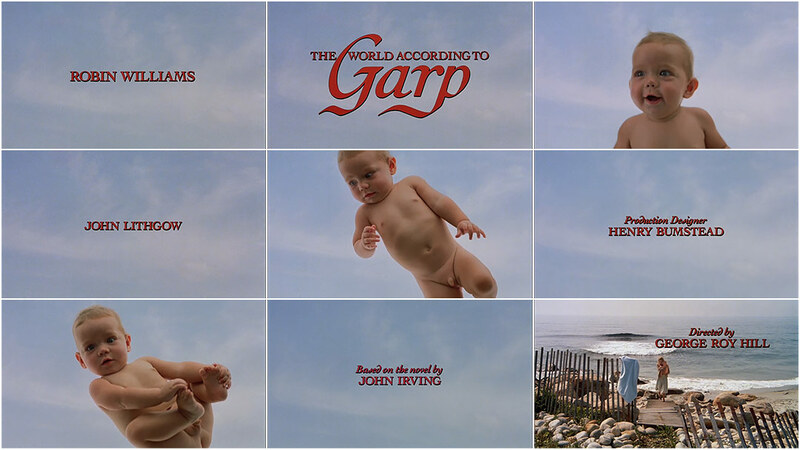 As the image of an adorable baby floated into theatres all over the United States in 1982, the title design of R/Greenberg Associates took a step in a new direction. The Brothers Greenberg, known at the time for their technological innovations and type-focused design for films like Superman, Alien, and Blow Out, struck a distinctly lighter and more playful note with Garp. 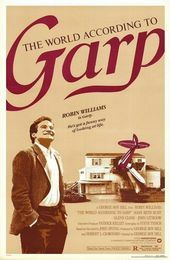 Title Designer RICHARD GREENBERG speaks about his work on The World According to Garp in this excerpt from our feature article R/Greenberg Associates: A Film Title Retrospective. Let’s talk a little about The World According to Garp. Was that opening scene with the baby already in place, or did you have to conceptualize and experiment? Richard: That scene was already there. Glenn Close catches a baby. Now, the baby that she catches was not the same one we used, because by the time they decided to do a sequence, that baby would have been a year old. So we had to make it work back to that. The movie is Hollywood-style entertainment but it has a kind of down ending, which they wanted to mitigate somewhat with the idea of rebirth, which informed the opening titles. We had the idea of a baby floating in space and Warner Bros. had bought that wonderful Beatles song, “When I’m Sixty-Four.” We hadn’t developed the technology that would allow the audience to believe this baby was actually floating and of course we couldn’t throw the baby up in the air! So we used a luna crane and we laid the baby down. So it was a little dangerous. We had a very heavy camera on a boom high above this little child, and I’m not sure they would let you do that anymore. But we managed to create a sequence of a kind of exultant baby. And the way he’s holding his legs is just very cute.